Description: Would like to create an exquisite real estate flyer quickly? Try to explore from Edraw template gallery. 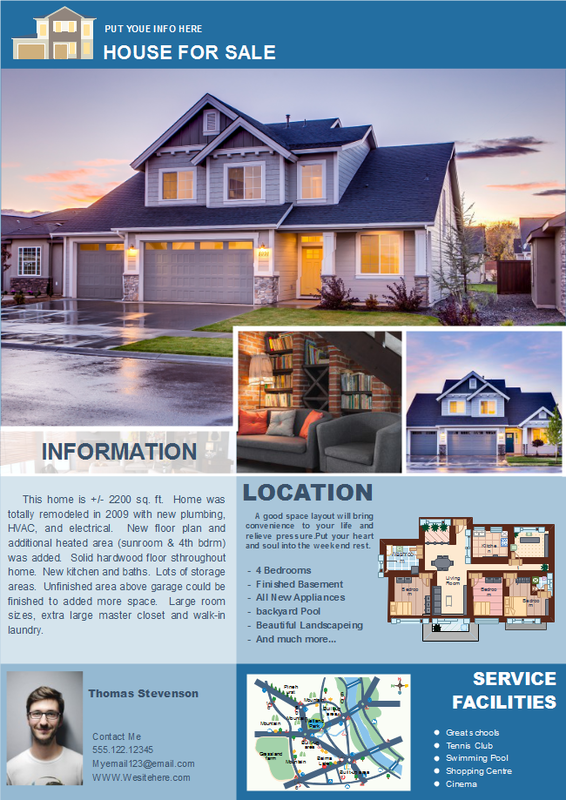 Feel free to download this blue real estate flyer template in one click and customize the contents by replacing information texts.